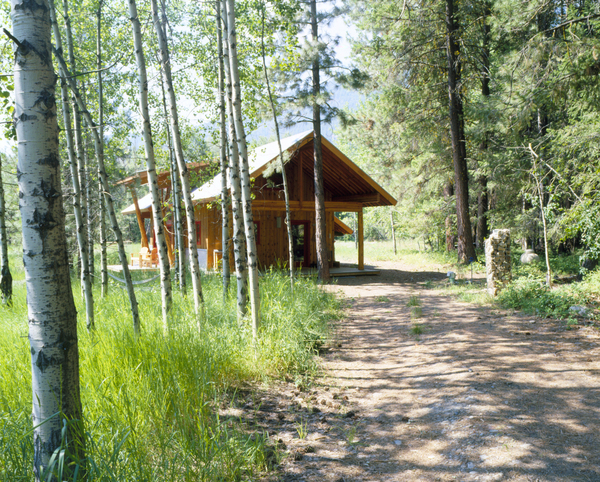 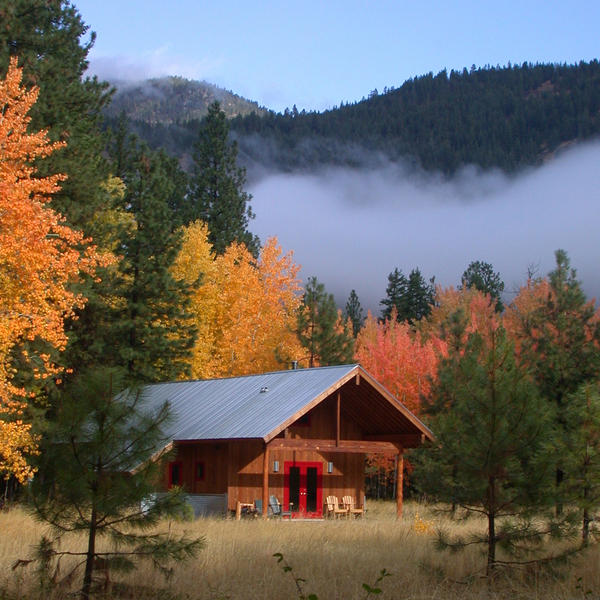 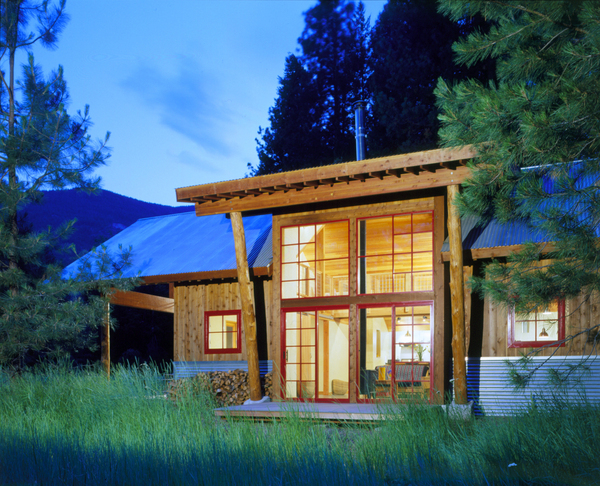 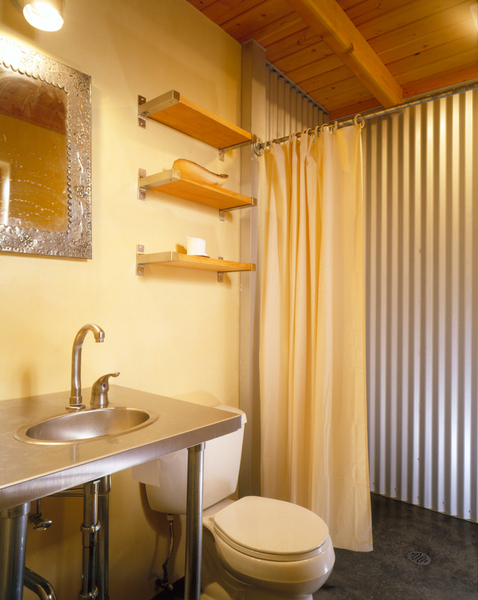 A cabin located along the Methow River in Eastern Washington to serve as a vacation home. 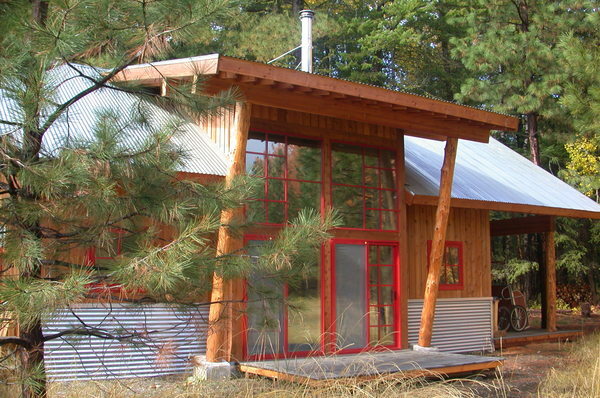 The simple shape allowed for the use of structural insulated panels, which are fabricated off-site and delivered as a kit of parts for efficient construction. 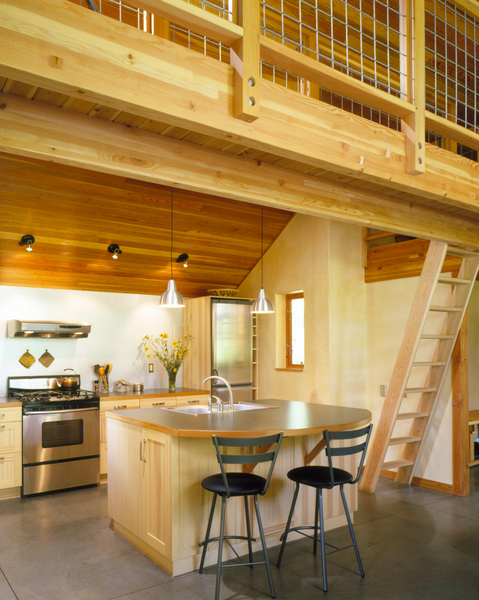 The cabin is organized around one central space, which functions as the living room, dining room and kitchen. 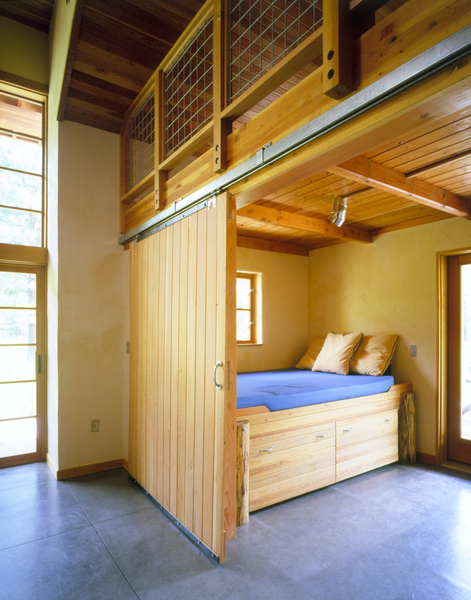 It is connected to the outside by a large window wall that opens onto a deck. 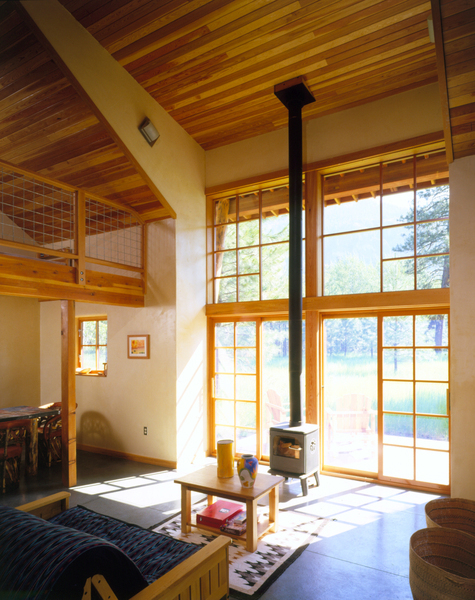 The window frames two towering pine trees with a backdrop of nearby mountains.